At about 5’7”, Celia is on the tallish side, and while she doesn’t have the force of presence that would let her loom over others, she carries herself with the calm and quiet sort of confidence of a person who doesn’t have to loom. She has a slender and graceful build, with refined features and long limbs, and her every movement has the poise and elegance that can only come from years of practice and refinement. Her expressions are shown through a veil of calm composure, though she will drop that veil when alone with someone she’s close enough to. She takes great care to keep her pale skin healthy and flawless, and wears only just enough makeup to enhance her natural features. Her dark brown hair, hanging in gentle curls to her upper back, is washed and brushed until it shines, and she typically keeps it styled in a simple but elegant matter. Like the rest of her, she takes great care to keep it just so, and is very rarely seen with so much as a strand out of place. Her wardrobe is neither showy nor ostentatious; she prefers classic elegance over any passing trend that might be popular amongst her peers. She will more often than not showcase her refined taste and her high birth with beautiful and luxurious fabrics such as expensive silks or brocades rather than an overabundance of ornamentation, preferring instead to let her choice of fabric and flattering cut speak for itself. Though she enjoys wearing jewelry, it is often understated; she would much rather wear an heirloom pearl necklace than an elaborate choker set with an obscene amount of overlarge diamonds. In order to pull off her more reserved taste when among her more ostentatious peers, she relies on her posture, grace, and inner confidence: after all, who needs excess gemstones and ruffles to stand out when your own self-assuredness can carry you head and shoulders above the rest? This is not to say that her taste is plain, of course; just that she prefers elegance and refinement over frills or frippery. Though Celia has put years of effort into mastering her aura of reserved calm, the first thing that still comes to mind about her personality is warmth. Celia has been a warm and caring person from the start, and though her veil of calm might limit just how much of that is shown to the general public, it still shines through unless she has a good reason to be deliberately cold to someone. Kind and gentle by nature, Celia has a strong sense of empathy that not only makes her a natural at Soothing and socializing, but has also helped her grow into a loving and loyal friend and family member. She would do anything for the people she loves: anything, that is, but cross certain moral boundaries. She has a very strong sense of right and wrong, ironicallly honed as she witnessed the Allomantic horrors her teacher is capable of, and while she is capable of recognizing certain things as necessary evils, she strives to do the right thing when she can - even when she has difficulty discerning what that is. Unfortunately, this can lead to very unpleasant dilemmas in which the right thing to do and the only way to serve her house or help the people she loves are two different things. She hasn’t faced such a situation yet, but she dreads the day when it will inevitably happen. Though once timid and unsure of herself, the disappearance of Celia’s sister - and main support figure - has forced Celia to find within herself a reserve of strength she didn’t know she had. Though still kind and empathetic, Celia has grown out of her previous naivete into a woman who knows the dangers and realities of the Final Empire. And though she struggles sometimes to continue living by her own moral code in a world where backstabbing, sometimes of the literal sort, is not only commonplace but expected, she strives to do her duty to her house as best she can while retaining her ability to sleep at night. More than anything, though, she fears the possibility that she might one day follow in her teacher’s footsteps and use her Soothing in ways that no human being should be subjected to. Special Skills: Dancing, singing, reading music. Celia is also a gifted cellist and pianist, and thanks to her training as a Soother, she is very good at reading people. She is highly educated and well-read, and has keen observational skills. Strengths: As a very empathetic person, Celia has a natural gift for reading and understanding people that is only enhanced by her training as a Soother. Her genuine desire to understand people makes her a natural at employing her gift with Soothing to achieve the desired results, but her kind nature prevents her from going too far. Her loyalty and determination make her a good ally, and her harsh political and Allomantic training have enabled her to anticipate schemes she would have otherwise been too kind to even dream of. Weaknesses: Depending on who you ask, Celia's biggest strength – her empathy – is also one of her biggest weaknesses. Because she is unwilling to cross a certain line when Soothing or otherwise manipulating people, there are those who consider her weak, or perhaps less loyal to Elariel. This is particularly so with her teacher, Andrew Elariel; though his constantly pushing her toward perfection has inspired her to become greater, it has also instilled in her some deep-seeded feelings of inadequacy and insecurity that she tries very hard to bury. She has little to no actual combat training, and is rather on the weak side physically, forcing her to rely others to protect her when things get dangerous. 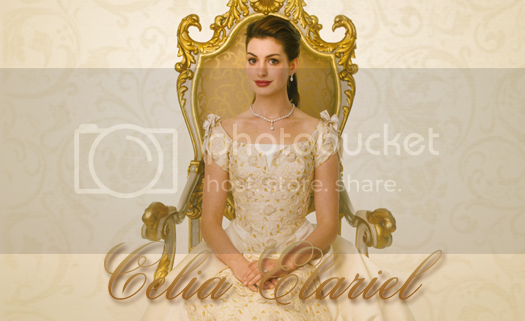 Celia Elariel was born to Nolan and Lucia Elariel in the year 898 as a member of House Elariel's prestigious First Tier. As such, no privilege or comfort was ever beyond her reach. She had the best of everything, and wanted for nothing. As the youngest of two daughters, she was her parents' baby, and though she wasn't spoiled, per se, she was certainly coddled. For as long as she can remember, Celia has idolized her older sister Vivian. She followed the older girl everywhere she was allowed to, and strove to be as much like her as she possibly could. Vivian played the violin, so Celia wanted to learn how to play an instrument too. Vivian was a Coinshot, so of course it was Celia's dream to be an Allomancer too, so they could serve Elariel together. The thought of jumping off buildings and fighting people frightened the gentle-natured Celia, but she knew in her heart that if she had Vivian by her side, surely it wouldn't be that bad. Perhaps not surprisingly, her parents indulged her desires to imitate Vivian, hiring a tutor to teach Celia to play one of the violin's bigger siblings: the cello. Though for many years she was playing an instrument that was larger than she, Celia loved it, and has continued to hone her musical skills to this day. She particularly loved it when she, Vivian, and their cousin Daerra – who plays piano – would play together, either for practice or in small recitals. Those times remain some of Celia's most treasured memories, and one of the things she misses most from her childhood. Her parents could not, of course, grant her wish to be an Allomancer, but it was granted all the same: when she turned ten years old, Celia was taken down to the bowels of Keep Elariel and beaten within an inch of her life. She knew from Vivian's stories that this was how they tested for Allomancy, but even though she thought she was prepared for it, actually experiencing it was far, far worse than anything Celia could have imagined. She screamed and cried and begged for help, but it wasn't until she felt a strange, warming sensation in her gut that the blows finally stopped. She blacked out soon afterwards, and woke up in her own bed, covered in bruises and sore all over. It wasn't until then that she learned what had happened: at the end of her beating, Celia had Snapped. She was an Allomancer after all! But she wasn't a Coinshot like Vivian; she was a Soother, capable of influencing the emotions of people around her. Celia couldn't have been more thrilled: not only was she an Allomancer like she had wanted, but she wouldn't have to fight anybody after all! She decided quite happily that Soothers were the best type of Allomancer to be, and couldn't wait to begin her training. She had thought she would be sad if she couldn’t be a Coinshot with Vivian, and in a way she sort of was, but she was also incredibly relieved that she wouldn’t be subjected to the violence she had experienced for the rest of her life. And of course, it certainly helped that Vivian came to see her while she rested and told her how proud she was of her. Because of her high position within Elariel, it was decided that Celia was to be instructed by none other than Andrew Elariel himself. She was awed, and a little frightened: everybody knew the story of the Elariel heir who had reached beyond the limits of ambition and been stripped of his title because of it. And they were really sending her to learn from him? Over the following years, it became abundantly clear why that decision had been made. Andrew Elariel was a terrifying man, more terrifying than Celia had ever imagined – but part of that terror came from the sheer mastery he had over his Allomancy. His touch was so subtle it could go undetected by anyone save trained obligators, yet somehow he seemed able to hold his thralls exactly where he wanted them, no matter the ethics involved. And Celia was expected to live up to that. Though her natural empathy made her a natural at reading others' emotions and responding appropriately, that same empathy prevented her from willingly imitating some of her teacher's more extreme tactics. This was clear right from the start, causing Andrew to dismiss her at first, considering her weak for displaying such a trait. Despite that so-called weakness, however, Celia strove for years to achieve nothing short of excellence. She refined her technique, practiced Soothing people without being noticed, and experimented with inducing a wide array of emotions to varying degrees. She learned psychology and was taught how to read people: from how they were feeling, to what they wanted, and how to detect when she was being lied to. As Celia’s ability with Soothing grew stronger and more refined, Andrew finally began to take notice of her. He became more engaging as an instructor, bringing her education to a level of depth and complexity Celia had never dreamed of. Andrew was a master of his craft, more so than anyone other than a fellow Soother could ever understand. And not only did he make sure Celia knew it, but the more she grew her own abilities, the more determined he seemed to shape her into a worthy successor of his Allomantic legacy. Neither of his own children were Soothers, after all, and she was his only pupil. There was nobody but Celia to carry on what he had built. He didn’t tell her any of this outright, of course, but after spending so much time with him over so many years, it didn’t particularly need to be said. Not to somebody who made it her life’s work to study and understand people’s feelings and motivations. She of course didn’t dare to mention it out loud, but it certainly complicated how she felt about Andrew Elariel. He still frightened her, of course - terrified her, especially now that she knew so much about him - but in a way, she also felt almost as if she were closer to him than anyone else. And even though she refuses to emulate certain of his practices, she most certainly respects, admires, and even reveres his skill and innate talent. Though she knows she will never completely become the Soother he truly wants her to be, she buries any feelings of inadequacy this causes and strives to go above and beyond his demands and expectations of her in every other way. Not only does she of course want to be the best Soother she can possibly be for her own sake and for the good of Elariel, but it is one of her dearest wishes that Andrew might one day fully approve of her as a Soother, despite the weakness he perceives in her. Complementing this education, of course, was her training in the courtly arts. In addition to etiquette, dance, and other ladylike topics, Celia was thoroughly educated in the art of conversation and even given acting lessons – after all, she was taught, no Soother should rely solely on Allomancy to influence people. Words, tone, even posture and body language could be just as effective in the right circumstances, and she was taught both to integrate these things with her use of Allomancy and also to use them effectively without the use of brass. The majority of her time was spent at these various lessons - Soothing, academics, music, the art of being a Lady - but in her free time, she mostly enjoyed spending time with her family. She was incredibly close to her sister Vivian, of course, and the older, more outspoken girl was a pillar of security for Celia. It was in Vivian, and no one else, that Celia confided some of her feelings about Andrew. Not everything, of course - some things just felt too private to share even with her own sister - but she talked about her fear and respect for him, and her desire to win her teacher’s approval and remain true to herself at the same time. Vivian always comforted Celia during these talks, making her feel like as long as she had her sister nearby, everything would always be alright. She rather liked her cousin Aaron, but his twin sister Daerra was not only rather possessive of him, but she had most certainly not been burdened with an overfodness for Celia. She wasn’t outright mean to her, but neither was she particularly nice. Celia found that cold neutrality to be rather offputting, and so while she has always attempted to get along with her family, she decided long ago that maybe she should just stay away from Daerra. Claudia, however, was kind and gentle, and Celia always enjoyed her company, but once Claudia Snapped as a Mistborn, she was often busy with training. On top of all of this, Celia debuted into society at age 15, at a ball held in her honor. This marked her entrance into Luthadel society as a young Lady, and though it was nice to get out of the keep more often, and she loved the balls, Celia found that on top of everything else, society was mostly just good for complicating her schedule even more. Even still, with Vivian nearby to listen to her frustrations and offer support - after all, she had debuted only a few years earlier and thus knew exactly what Celia was going through - Celia was able to manage, somehow, to adjust to the change. It got easier to manage as time went on, and at last, she was finally able to start enjoying her hectic life. Vivian even fell for a gorgeous young Raisaal Hazekiller, and Celia couldn’t have been happier for the both of them. Then Vivian went missing, and everything changed. They struck in the dead of night: agents of an enemy house, aiming to kidnap Daerra for ransom. Though there was never any concrete proof, Celia - and others - have always believed it to be the work of House Sureau. They attacked guards and burned down buildings - almost killing the Raisaal boy and his sister - to get at their target, but it wasn’t Daerra they took. Daerra was unhurt in the incident. Daerra returned home to her family when it was done. Daerra was the reason for the attack in the first place, but it was Vivian they took. Celia was in denial at first. Surely she would be fine. Surely the Elariels would pay the ransom, or else she would escape on her own. She was Vivian, after all. In all of Celia’s life, she had never known a stronger or more capable person, and she knew in her heart that if anyone could make things alright again, it was Vivian Elariel. But time went on, and no ransom note came. Not even a whisper that she was even still alive. Had the Sureaus killed her? Murdered the indomitable Vivian as she fled from the burning building? That was impossible. Or was it? Was it even them who had her in the first place? At first, only two things kept Celia going: her hope that Vivian was still alive and would return to her one day, and her anger towards Daerra. Though a part of her knew it was stupid and irrational to blame Daerra for being attacked, Celia’s anger and grief easily silenced the logical part of her, and Daerra was an easy target for internal finger-pointing. Eventually, though, Celia came to her senses and realized that she couldn’t continue on in this manner. Whether Vivian was alive or not, whether she would return or not, Celia knew that Vivian would want her to be strong. And so Celia picked herself up, buried her grief and anger as best she could, and for the first time in her life, learned to stand on her own. She threw herself into her lessons and duties with renewed vigor, and it wasn’t long before the formerly shy and reserved Celia was carrying herself with the poise and confidence of a proper Elariel. Having to stand on her own without relying on Vivian taught her that she could be strong for herself, and though she still missed her sister terribly, she embraced her newfound strength and used it to push herself ever forward. Punctuality is a virtue. Of course it was, which was why she had come immediately. Of course, had she been waiting outside his study the moment he set foot in the keep, he likely would have chastised her for dawdling and wasting time, so she let the useless criticism roll off her shoulders and kept herself focused on the task at hand. He wasn't looking at her, which was somehow strange and perfectly normal all at the same time. Was something off about him? 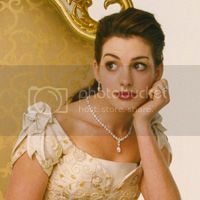 It was difficult to say; Lord Andrew was always so inscrutable that she had only in recent years been able to guess a mere fraction of what he might be thinking or feeling. The day she successfully read Andrew Elariel like a book would be the day the Lord Ruler himself asked her to Kredik Shaw to give him lessons. Numbness hit her. Deafening and suffocating, it squeezed all the emotion, all of the life even, out of her, pressing her into nothingness until her very existence seemed to wither away underneath the carpet. He only held her that way for a moment or two, but it felt like an eternity before the real show started. Then the curtain rose, and he began. He played her emotions like a skilled conductor led an orchestra through a complex symphony, pressing here and there in subtle variations to send her emotions bouncing from one complexity to another. She paid particular attention to what was being Soothed rather than what was being allowed to rise to the surface. When she was younger and more inexperienced, she had tried to focus on the perceivable effect of the Soothing and find her own way to duplicate it, but he had swiftly and harshly corrected her for not mimicking him exactly. Ever since, she had focused on mirroring his exact methods; as long as she got that right, the result would be correct too. As usual, she faced a dilemma: did she copy the initial blanket Push, or skip the overture and come in at the prelude? If she did the former, he would punish her for being presumptuous; the latter, and she would be chastised for skipping ahead. Which transgression did she feel like committing today? Would she be a rebel, or a coward? She was a grown damn woman, for Lord Ruler's sake! This man, this brilliant Soother and genius manipulator, had taught her well, but his methods had tormented her for nearly her entire life. And now, now of all bloody ash-forsaken times, he chose now to play her heartstrings when they were already over tensioned and ready to snap? Enough already! He wanted to pull her away from playing her cello to calm herself? Fine! She would just play him instead, the way he'd played her since childhood! She had never consciously realized until this moment how much he had well and truly cowed he had her. She could not actually remember a time when she had dared to go all-out against him in these matches. Oh, sure, she had played with her full skill, but while he ranged from pianissimo to fortissimo in his manipulations, she had always remained near a safe, if lackluster, mezzo-forte. The drive to completely and utterly defeat her opponent. Whatever consequences would come for her uprising, and she was sure they would be harsh, didn't matter right now. Right now was about sending a message: to her teacher, to life, and to herself. I will be pinned down no longer. Also, when you get the chance, I might need to talk to you guys about the specifics of the Sureau attack, because I'm not sure we are on the same page about all of the details. Message me when you are free. I am really really really excited for Celia!! !